Custom Magnetic Calendar Pads Personalized in Bulk. Promotional, Inexpensive. Wholesale magnetic calendar pads, custom imprinted with your logo or message . Lowest prices in the USA and Canada for Wholesale Magnetic Calendar Pads. Free artwork design. American clients pay no taxes. We will send you a proof for your approval before production. Unit Price below include your full imprint on the magnet. 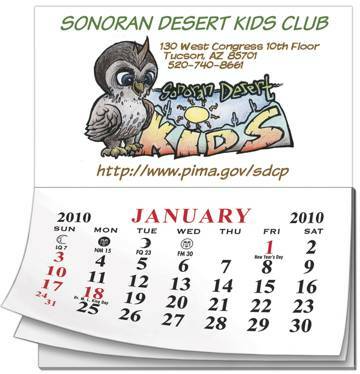 12-sheet Calendar Pad in 2 colors (see photo). Typical Production Time: 7-10 days after artwork approval; Rush production is available: contact us.